Week 11, a photo by DarrenNunis on Flickr. 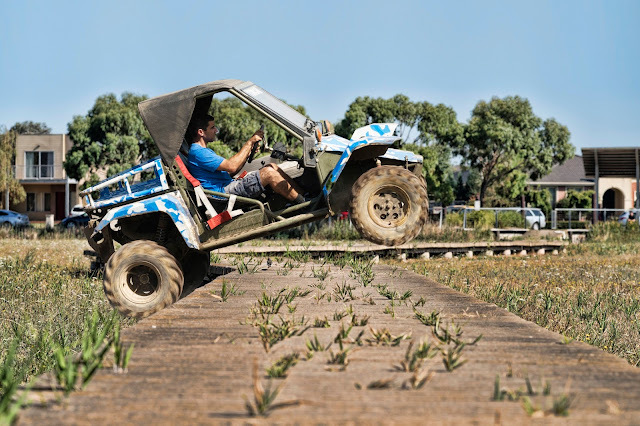 Weekend of the Australian Grand Prix approaches, so before my posts get filled with cars, speed and the occasional girls, here's a buggy jumping! More next week.